I put this one together several weeks ago. It's very simple, but it was a big hit because of the water. You can put anything in water and kids will enjoy it. 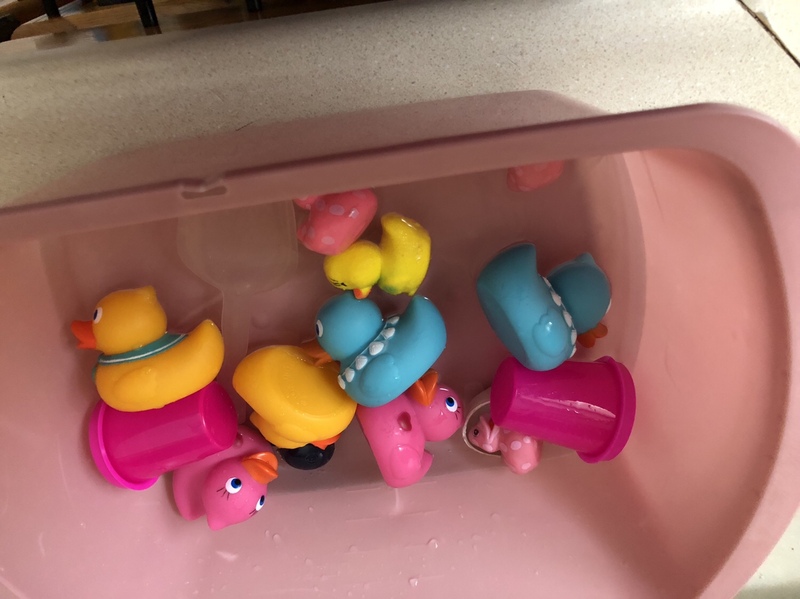 We scooped, poured, compared the sizes and colors of the ducks, squeezed them to get all the water out and of course there was some splashing to. I put towels down on either the kitchen or bathroom floor so I don’t have a huge mess to clean up. 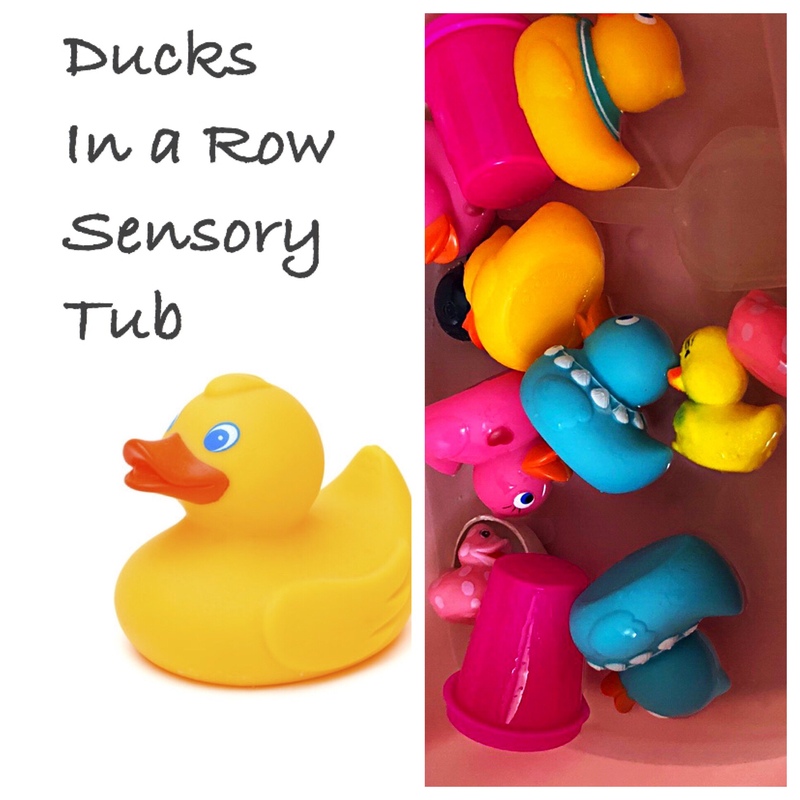 There are many more sensory bin ideas I’ll be posting in the upcoming months. Happy playing.